The video below is a nine-minute story I performed with the troupe Better Said Than Done a little more than a year ago. I seem nervous, ritually adjusting my glasses. I was bringing back an intense period in my life. The story goes back to 1965, when at the age of 19, as part of a community-organizing effort, I came as close as a young white man could to understanding the black experience in the United States. I spent a summer immersed in one block of the North Philadelphia ghetto. The story I told 49 years later stayed away from anything political or religious; I kept it on the light side. But I experienced a lot in the summer of 1965. 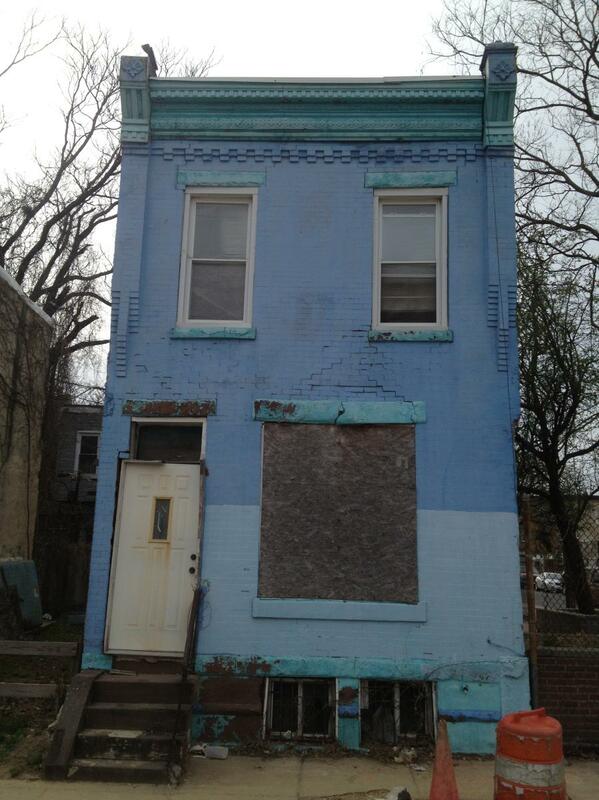 A recent photo of a home on Philadelphia’s Natrona Street. My first evening on Natrona Street, two young boys playing hide and seek were picked up by the cops, put in the back of a paddy wagon, taken to a vacant lot, hassled a bit, and let go. They were guilty of hiding while black. I was stopped once for driving through a black neighborhood while white. One white cop and one black cop were in the car that stopped me. The white cop kept telling me I shouldn’t be there. “The people around here, they’ll cut your balls off,” he said, and looked at his partner. “Isn’t that right?” he asked, and the black cop nodded. One mother on Natrona Street had 16 children and gave them each a nickel every morning to go out and buy a bag of potato chips for breakfast. One of the boys on the block, a 9-year-old who couldn’t read and who thrived on negative attention, lived in a house with no electricity, since the family couldn’t pay the bill. His grandfather, with no legs, never spoke and got around using his knuckles on the floor to propel a board with roller-skate wheels nailed to it. It has now been 50 years since my summer on Natrona Street. The New York Times ran a long analysis this morning of The Disproportionate Risks of Driving While Black. A lot has changed in 50 years. A lot has stayed the same.